Companies in the business of manufacturing and distributing food face just about the greatest scrutiny of any industry. Unlike the manufacturers of, say, cameras or shuffleboard sticks, food distributors traffic in products that actually go in the consumer’s mouth, which means a higher potential for contamination or customer injury. Therefore, the safety of your food packaging process needs to be paramount in your mind. We’re not going to plunge elbow-deep into the specifics of food packaging safety here, both because different products may call for different handling and because we can’t hope to scratch the surface of the FDA’s complex list of food packaging regulations. However, there are a few basic things to keep in mind when choosing a fulfillment company for your food packaging needs. Obviously, proper hygiene is essential for anyone who comes into contact with food. It goes without saying that a strict regimen of hand washing should be required of employees, but it’s also vital that you provide whatever materials are necessary for individuals to maintain high hygienic standards, whatever their specific role may be. To protect against germs, stock up on gloves, hairnets, smocks, etc. For potential contaminants that are visible without aid of a microscope, visual spot checks are a helpful tool to make certain your products are free from foreign objects and that best practices are being followed. Whatever precautions you take to ensure the cleanliness and safety of your food production, it’s equally critical that the fulfillment company you contract to package your food is conscious of these concerns. What sorts of quality control testing do they perform on their materials? What best practices do they adhere to? Can they produce a record of their safety inspections over the years? 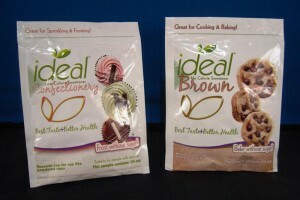 With the possible exception of produce, nearly every food product requires some sort of packaging, and while a fulfillment company that can provide an eye-catching and informative design is great, staying abreast of their safety performance will ensure that your consumers aren’t unwittingly putting anything unsafe in their mouths.